GEORGE NEWS - The annual Gourmets and Gourmands dinner dance, is at the top of George's social calendar as the glamour event of the year, whilst at the same time serving as the Carpe Diem School's main fund raising event. 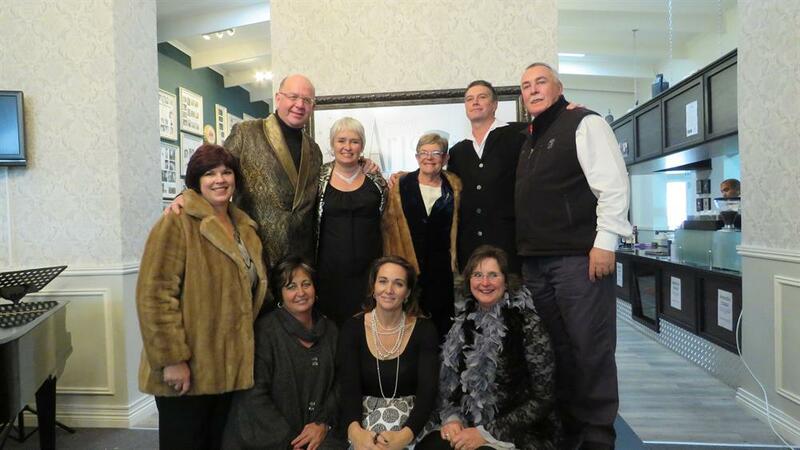 This year's launch was held with a flourish last night (Monday 20 July) at the Oakhurst Insurance George Arts Theatre. Guests dressed in opera clothes in keeping with this year's theme ‘Food of the Opera’ listened attentively to local operetta singers getting a wonderful foretaste of things to come. The seventh Gourmets and Gourmands will take place at Carpe Diem School hall on Saturday 22 August 2015 and tickets can be directly obtained from the headmaster Karools Hauptfleisch at 044 874 4074. This year 19 restaurants will participate (each with their own tables) and if you have a certain preference (for a restaurant) you should book early as this takes place on a first-come-first-served basis. Sponsors and media were thanked profusely for their generosity and one of the main sponsors Andries Hartman of Hartman & Sons Butchery said he is impressed with the passion that all participants partake in this worthy event. Participants at the 2015 annual Gourmets and Gourmands opening. Photo: Pauline Lourens. Read more in Thursday's George Herald, and online. ARTICLE AND PHOTOS: PAULINE LOURENS, GEORGE HERALD - JOURNALIST.